The amount of money made from Grand Theft Auto Online continues to exceed expectations for Take-Two despite signs of slowing down. 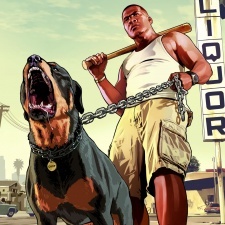 Publisher Take-Two brought in a total revenue of $388 million for Q1 this year, a seven per cent drop year-on-year. Income, however, increased from $60.3 million to $71.7 million, and digital sales continue to exceed expectations at 81 per cent of total revenue. Of course, digital sales of Grand Theft Auto V and GTA Online continue to drive sales, five years after release. But while GTA Online is expected to slow down, Zelnick doesn’t see any connection to the upcoming release of Red Dead Redemption 2. “I don't think there's any connection between big releases, whether they are inside our company or outside, and the performance of our hits in the marketplace now. I don't think you transition from one title to another... I don't think it works that way. “I think consumers who love Grand Theft Auto Online will continue to love Grand Theft Auto Online. Will some of them come to love Red Dead Redemption 2? I sure hope so. Does that mean we are looking for a one-to-one transition? Not at all. That's not the expectation."